Thinking about bringing home a new canine companion? Things to consider when adopting a dog. 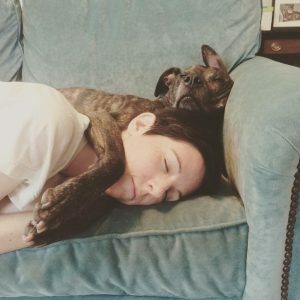 In honor of Adopt a Shelter Pet Day (April 30th), I thought it would be an ideal time to discuss ways to approach this life-changing decision. 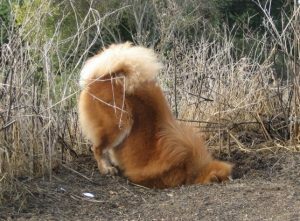 After all, it’s not just your own life that is impacted; it is the inquisitive canine’s life as well. Here are several things to consider when thinking about adopting a dog of any age, from puppy to older. First of all, ask yourself, WHY? And then do some follow-up thinking. For example, consider what you’ll want your new dog to do as a member of your family. Cuddle on the couch? Take daily walks? Accompany you to work? Be a companion to your children, partner, or another pet? Once you understand why you you’re adopting a dog, then it’s important to ask how that will work within the confines of your current lifestyle. This may mean a change in your home life is necessary; it may even be what’s behind your why. 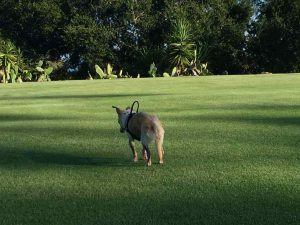 Maybe becoming more active by walking is something you’ve wanted to do, and a new dog will motivate you to get you out of the house. Timing is everything when adopting a dog. If you’ve started a new job, or have plans every weekend for the next few months, you might want to consider waiting until you have the time to help your new family member acclimate to his or her new home and living conditions. Like all animals, dogs are adaptable, but having that extra time to be more involved will be key in helping the transition go more smoothly. Also consider whether or not your immediate future holds any major life changes. 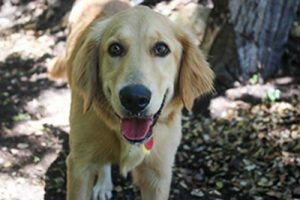 Adopting a new dog when you’re about to get married or move across the country could be too stressful and be worth waiting on until you are settled in. Love is free, but pets are not. Many shelters and rescue groups make it easy for dogs to be adopted out, with relatively modest adoption fees that range from free to about $200, according to Petfinder. From there, you have to take into account the necessities (basic gear like collars and leashes, food) and consider the luxury items, too. According to Petfinder, average annual costs the first year of owning a dog start at around $766 to adopt and get your household set up for your new pet. Petfinder estimates subsequent years start at an annual average cost of $526 and go up from there, depending on what’s going on in your dog’s life, and how much outside services you pay for (i.e. 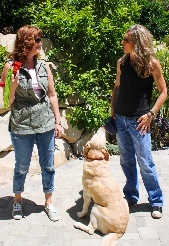 dog walkers and sitters, vet care, training, etc.) For the most part, dogs are certainly simple, loving creatures who don’t ask for much, but expenses can add up. Make sure you have the financial ability to take on caring for a pet for his or her entire life. Identify the type of dog you want. 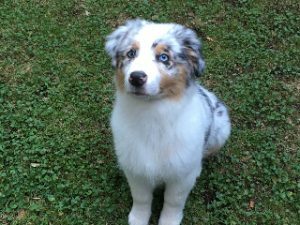 You may have in your mind a certain type of dog that you want – small or large, puppy or older, a specific breed – but keep in mind that selecting the right dog for you and your family is like choosing any other friend or mate. The choice should not be made on superficial attributes, but should really take into consideration things like behavior, temperament, common interests, etc. Truly consider how your new pet will fit in and enhance your life, and vice versa. Where will your dog spend his or her days? At home alone, at doggy daycare, with a friend or family member, at work with you? Where will he or she spend nights? In a crate, on a dog bed, in your bed? Will you have time to groom your dog yourself or will you need to find a groomer? Do you entertain a lot, requiring your dog to be around a lot of strangers, meeting and greeting? Are you active, and do you want a canine running partner? Or is your life more sedentary? (Keep in mind a dogs’ size doesn’t necessarily match his or her energy level). Breed is in the eye of the beholder. Once you’re clear on the type of dog you want, then you may want to consider a certain breed. In my opinion, however, dog breed descriptions are subjective labels. For instance, can you determine which breed I’m referring to with these attributes: powerful, fearless, watchful, energetic, friendly, and sturdily built? What about: calm, affectionate, and friendly? And then there’s: calm, tranquil, aloof and attentive, yet loyal, and alert. The three breeds I’ve just described, based on information I obtained off of the American Kennel Club’s website, are Swedish Vallhund, Whippet, and Xoloitzcuintli, respectively. I randomly chose these particular breeds to show that descriptive words used can overlap between all the groups. My point is that you should consider choosing your dog based not only on physical preferences, such as small or large, short coat vs longer coat but on his or her individual traits — especially personality traits; objective behaviors specifically. 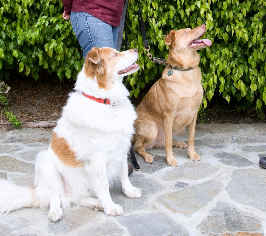 Realize that other variables, such as DNA mutations, environmental situations, prior learning history, and current conditions may make it such that your dog acts much differently than his or her breed description would otherwise imply. 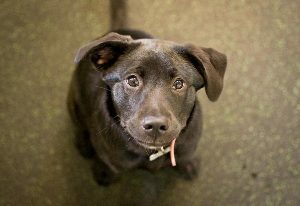 It also makes it imperative to find out as much as you can about the true nature of the pet you’re considering adopting. Be inquisitive! 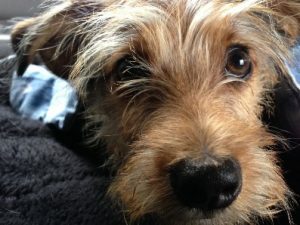 April 30th may be the special day we recognize and promote the adoption of shelter dogs, but no matter the when, where, why, and how, it’s important to ask the right questions of not only the organization from which you’re adopting a dog but also of yourself and anyone else involved in the process, such as family members or roommates. 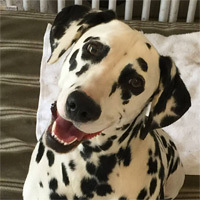 After all, you want to do your best to ensure your new inquisitive canine will have a happy life with his or her new humans, and that she or he will return the favor in kind. How do you find love again after your heart has been broken? Not only is this an eternal human question, but it extends to canines as well. Choosing to adopt a new dog after loss isn’t an easy decision, but it’s one many pet owners make. And it’s a question I’ve been grappling with since the original Inquisitive Canine, Poncho, departed the earth in July 2015. Not only was he my husband’s and my BFF (Best Furry Friend), but he was also the inspiration for and greatest helper in our family business. (If you never met Poncho, you can read about him here.) Losing Poncho to the great beyond was devastating for me, as it is for all other pet-parents out there who have gone through the horrible ordeal of the death of a beloved animal. I remember so clearly when my husband and I were struggling with Poncho’s condition, and wondering how we’d ever know when the right time would be to let him go. And, lo and behold, they were right. How to know it’s the right time to adopt a new dog? In a very similar way, I often wondered when we’d be ready to take the plunge and adopt a new dog. Even though I knew in my heart someday we would want to be adopted by another inquisitive canine, neither my husband nor I could imagine how and when that would happen. As time went on, though, despite the fact I’m surrounded by inquisitive canines all of the time, I began to realize how much I missed being a dog-mom. Getting to participate in classes as a student with my BFF at my side, attending working workshops where I could not only have fun with my dog but also get continuing education credits to keep my certification current, and of course family outings and vacations — because it’s always about our dog. It was rough on both my husband and me not being able to do our favorite activities including Nose Work, agility, Flyball, and Therapy Dog classes. In our family, our dog isn’t just our “baby”; he’s also a motivator, guiding light, and joy to have not just in our home, but also in our community at large. Still, even as recently as five months ago I was still at the point that I never thought I’d be able to love another dog like I did Poncho. Not the right time to adopt a new dog just yet. As before, friends told me not to rush, that we’d know when it was time. This past October we finally reached a point where we both agreed we were ready to begin our search at local shelters and rescue groups and adopt a new dog. We talked with a few organizations and went to several “meet and greets,” but unfortunately, as cute as so many of the dogs were, we didn’t feel that special spark. By day 108, I was ready to take a break from looking at all of those forlorn eyes. But knowing there were so many inquisitive canines needing homes, I took a breath and continued on. 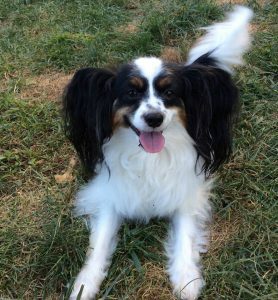 Yes, he was all of that, but it was his big, beautiful eyes of the Papillon/Chi-X that captured my attention – even though initially my husband and I were focused more on a scrappy terrier type. Turned out the stunning boy was found on the streets and was taken to one of the LA county shelters. After being on a hold for 21 days and no one claiming him (yes, he was chipped), Ken-Mar Rescue stepped in, scooped him up, placed him with one of their fabulous foster parents, and immediately posted his information on the Adopt-a-Pet website. Within two hours of receiving the alert, my husband and I were on a mission. After a flurry of emails, phone calls, videos, photos, and FaceTime calls with the foster mom, we knew we’d found our new inquisitive canine to complete our family. And sure enough, from the time we contacted Ken-Mar to when they made the home check, we knew we’d found our new BFF. Aside from his good looks, his personality won us over — all eight and a half pounds of him. Today I’m thrilled, overjoyed, and beyond excited about our newfound love and happy to announce that Ringo Starr Hunter Mayer has officially adopted us. I am also happy to announce that he is a brilliant new addition to the Inquisitive Canine and TransPaw Gear staff as well. As we embark on our new journey, creating a stronger bond every day, I still think about and miss Poncho. He will always be the original inquisitive canine. But, I’ve come to learn that with similar challenging situations, time does help. A dear friend also reminded me that we, as humans, are capable of so much love to give — this is so true! My mother loved both my brother and me equally (except perhaps when I was 13… but that’s a story for another day). I don’t spend time comparing Ringo to Poncho, which is good. This to me is proof positive that I was ready to move on and share my love with another inquisitive canine. When I think about all of the joy and new adventures Poncho brought to my life, I can only imagine what little Ringo will bring. I can already see how many fun times are on the horizon. And for now, the cuddles, playtime, and local outings are already bringing more happiness to my husband and me than we could have imagined. While you can never be ready for the loss of a beloved pet, when you are ready to open your heart to a new animal, I can assure you that you will absolutely know. Allow us to be inquisitive. How did you know your dog (or cat, or horse, or bird, or bunny, or…) was the one for you?